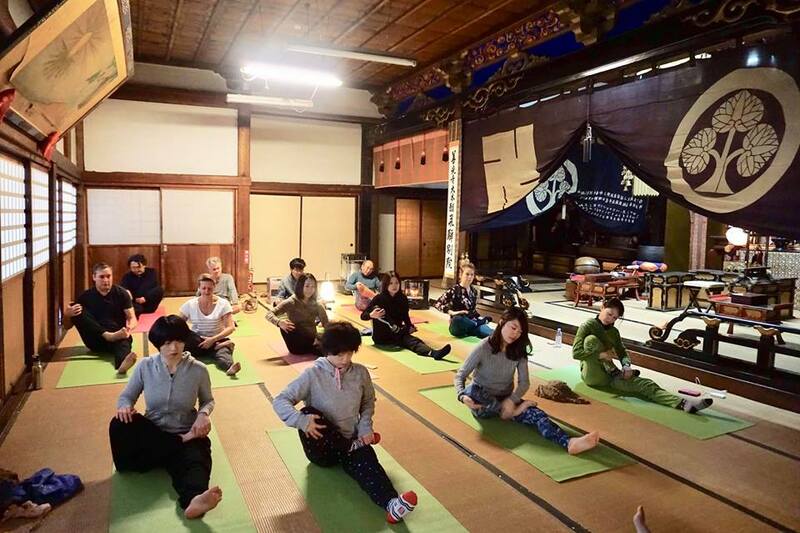 Takayama Zenkoji is a Jodoshu school of Buddhist temple. Anyone (regardless of any nationality, religion, or gender) can enter and pray. This temple is a branch temple of Shinshu-Zenkoji in Nagano, and is sacred to Amida(Zenkoji) Nyorai. 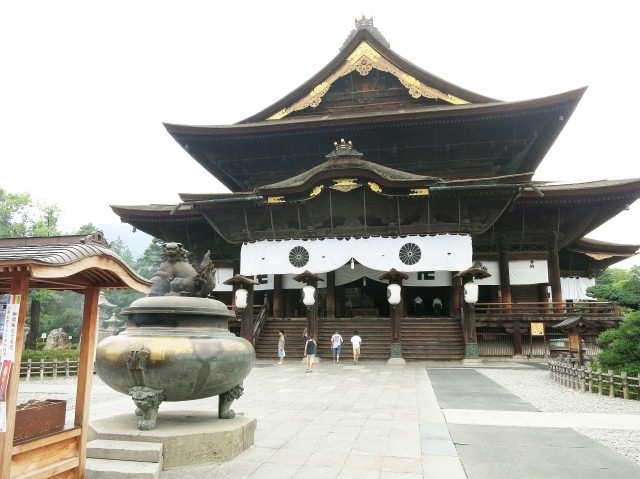 There are about 400 temples that have Zenkoji Nyorai inside, but only about 100 temples are formally allowed to have the name ‘Zenkoji’. 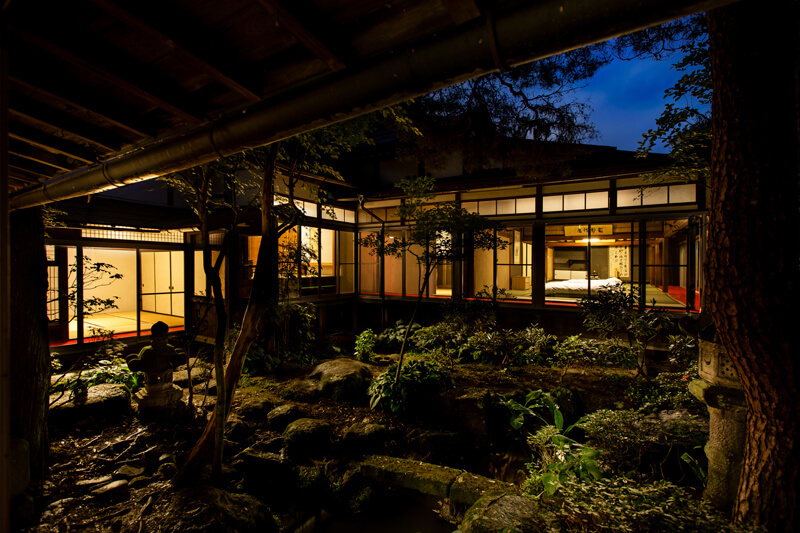 Among these Zenkoji temples, as few as 20 temples were officially recognized as branch temples by Shinshu-Zenkoji. 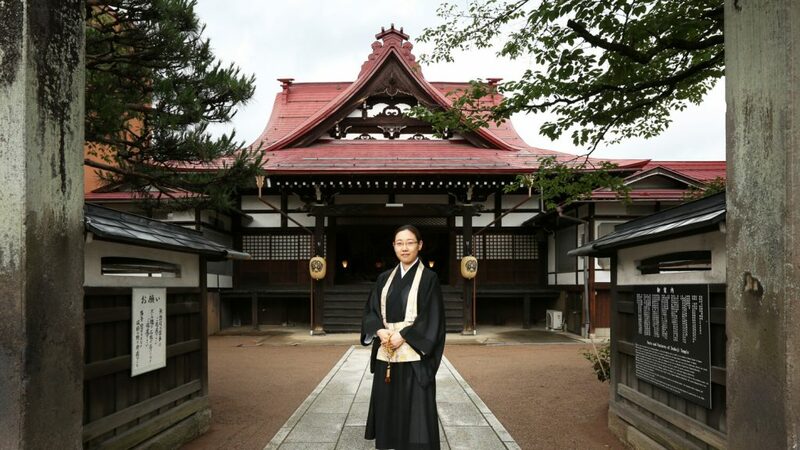 In Gifu, Takayama Zenkoji is the only temple of the kind. Just like Shinshu-Zenkoji, it has Kaidan-meguri(Tour in the pitch dark tunnel)in the basement of the main hall. 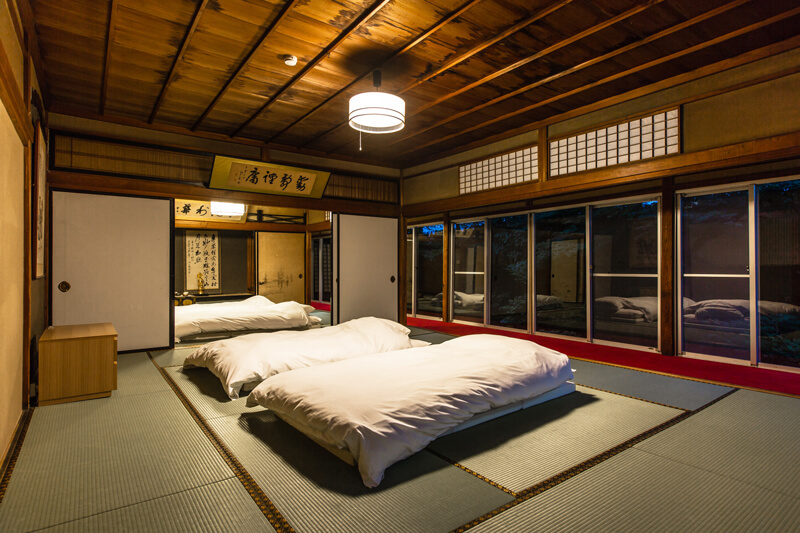 This temple offers places to stay for anyone visiting from far away. 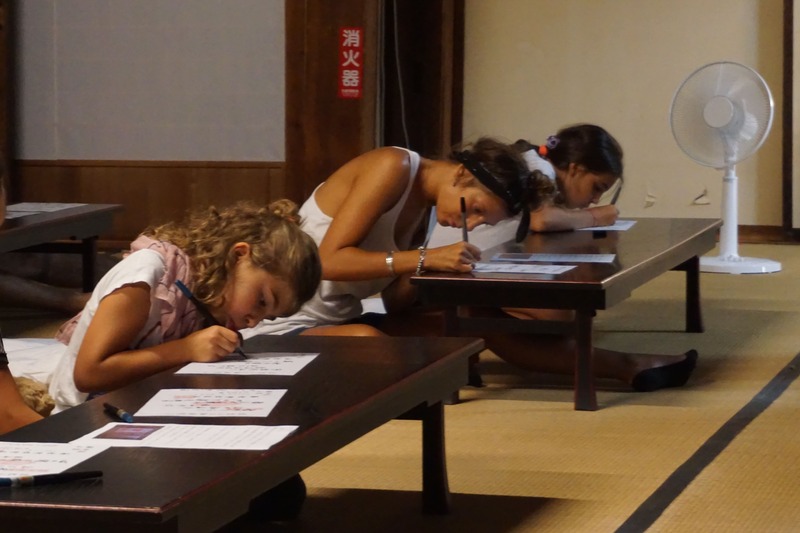 Now that Takayama became a popular spot for tourists overseas, 95% of visitors are from foreign countries. Besides private rooms, there is a shared kitchen and guests can use it for free. This temple is a branch temple of Shinshu-Zenkoji in Nagano, and is sacred to Amida(Zenkoji) Nyorai. 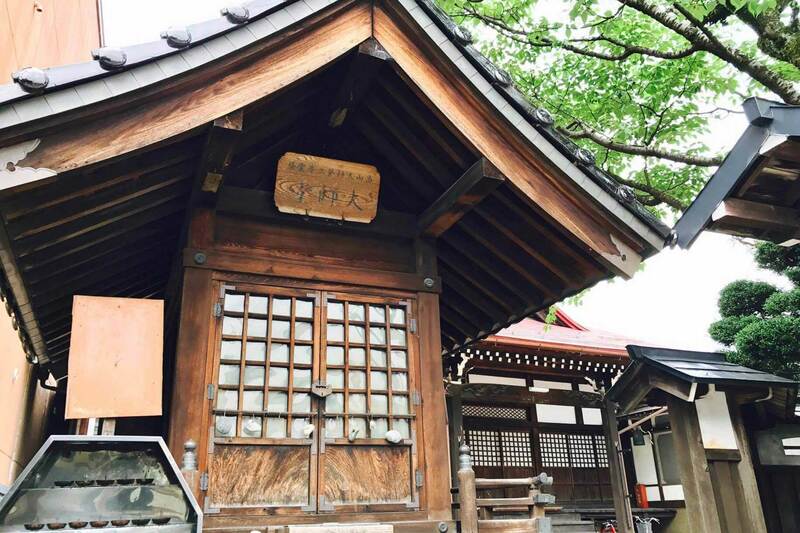 There are about 400 temples that have Zenkoji Nyorai inside, but only about 100 temples are formally allowed to have the name Zenkoji. 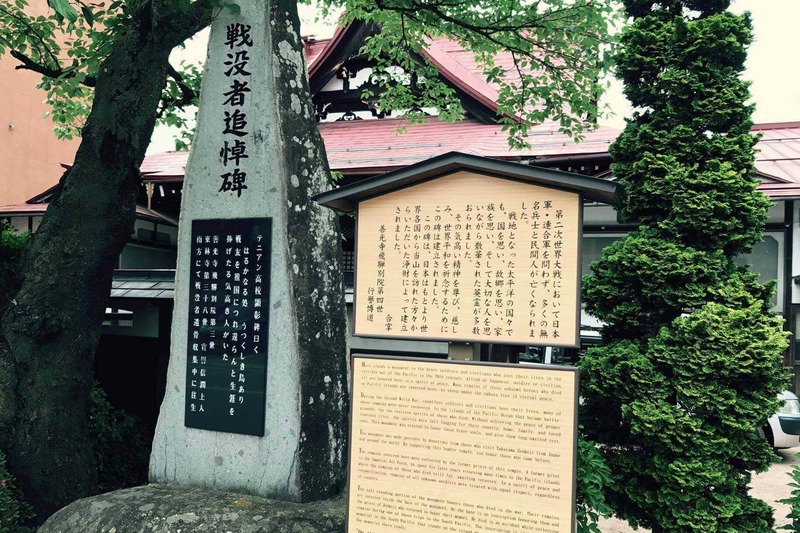 Among these Zenkoji temples, as few as 20 temples were officially recognized as branch temples by Shinshu-Zenkoji. 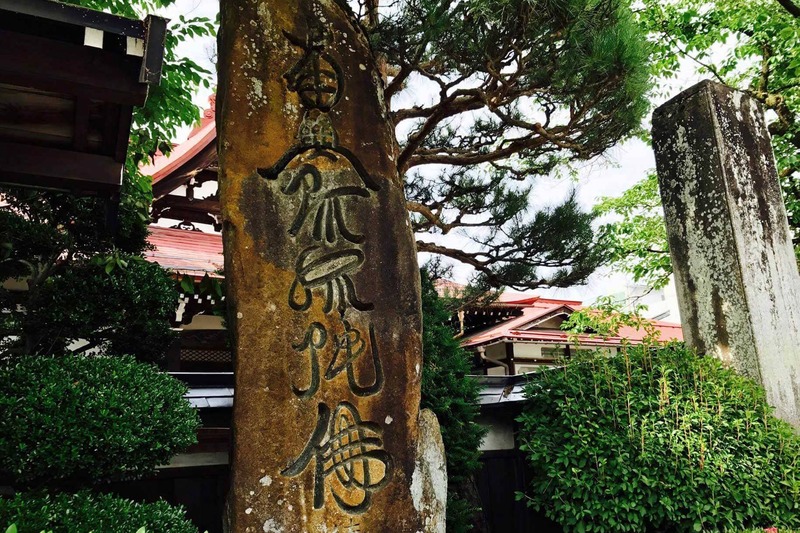 In Gifu, Takayama Zenkoji is the only temple of the kind. 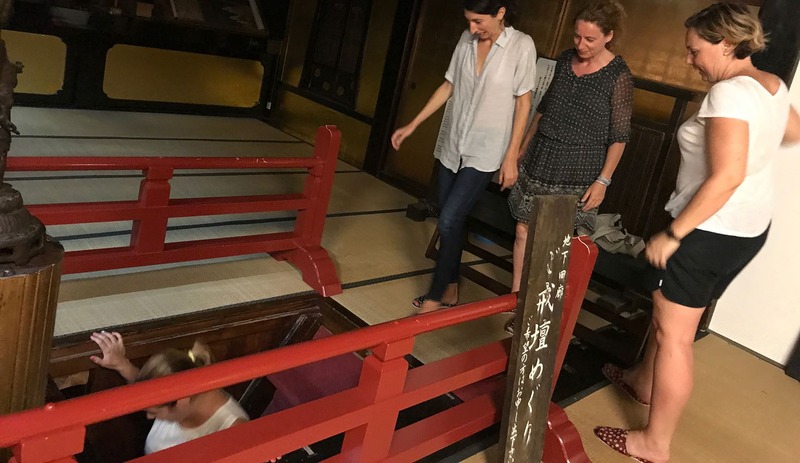 Just like Shinshu-Zenkoji, it has Kaidan-meguri(Tour in the pitch dark tunnel)in the basement of the main hall. 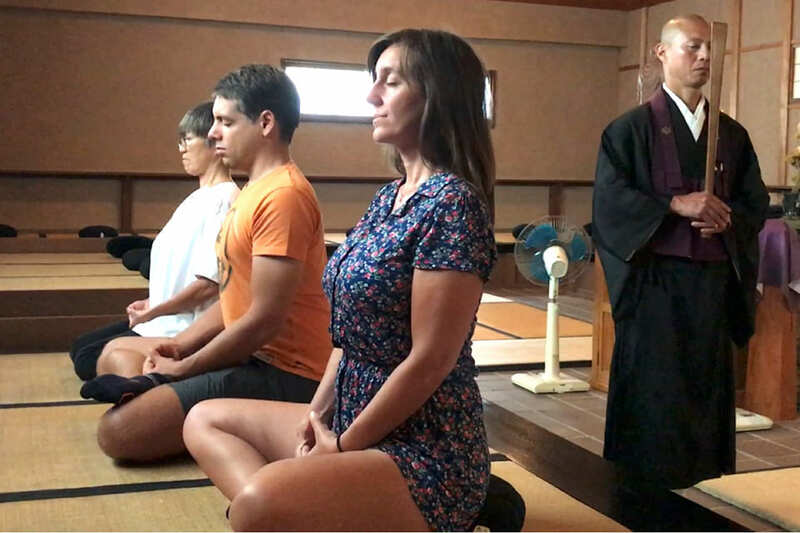 We can take you to a zen temple nearby and you can try Za-Zen meditation(sitting meditation) with a monk. Zen meditation helps you improve your concentration and get rid of stress. There will be a guide with you. Beginners are welcome! 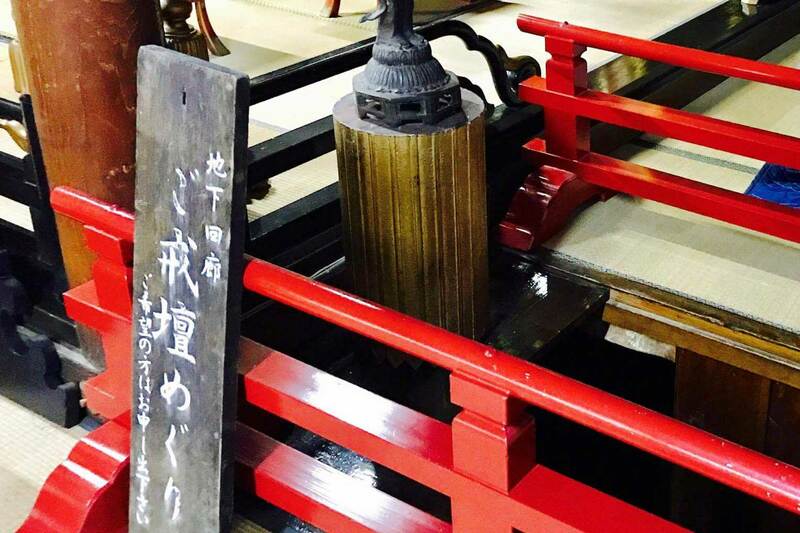 Zenkoji in Nagano is a unique temple that is open to anyone of any religion and there is no Danka-Seido(the supporter system of a Buddhist temple). 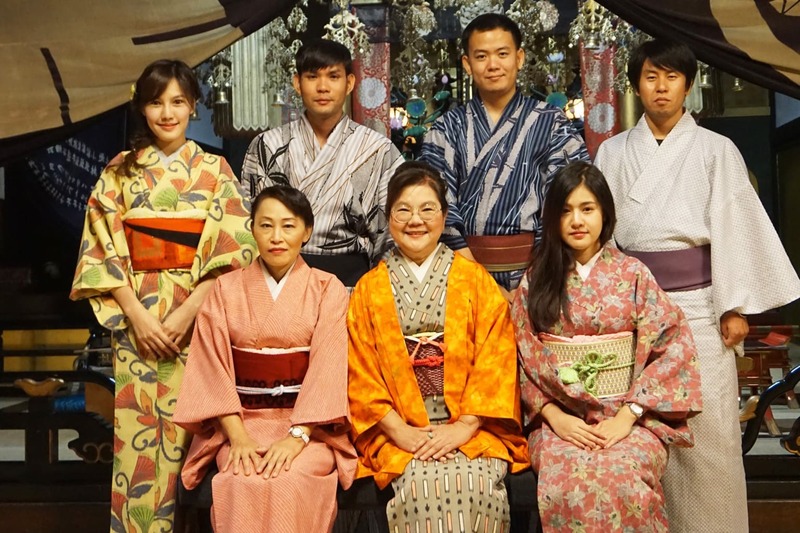 It welcomes people of any age or gender, so it became very popular. It has been friendly called ‘Zenkoji-san’. 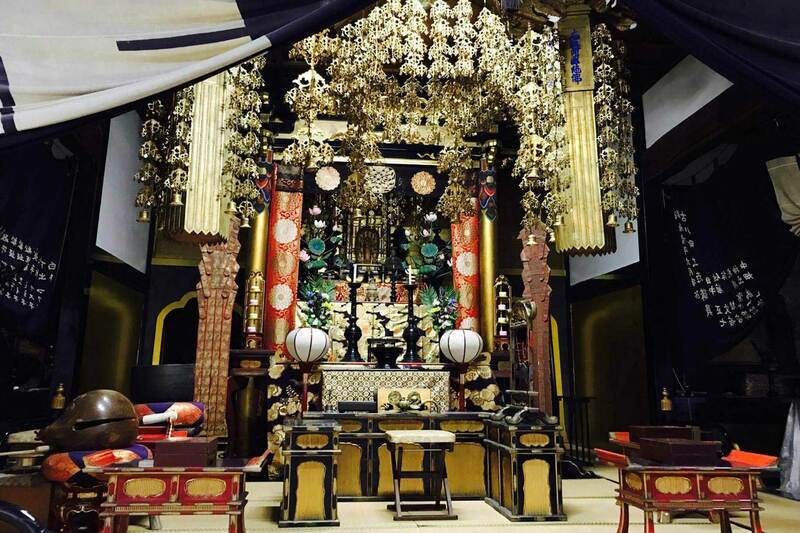 Zenkoji itself is not a religious temple, but there are Tendai sect of ‘Daikanjin’ and Jyodo sect of ‘Daihongan’ in the temple. Monks of both Tendai sect and Jyodo sect(25 Tendai sect of buildings and 14 Jyodo sect of buildings there) stay and work there. The chief priest of Jyodo sect ‘Daihongan’ is called ‘Zenkoji-Shonin’. Only a noblewoman is allowed to be the chief priest (thus it is called Amadera). ‘Ikkou Sanzon Amidara Nyorai’ (believed to be the oldest principal image in Japan) is enclosed.